Tackling the challenge of U.S flood risk will require re/insurers to focus on educating property owners while at the same time developing more detailed resources, such as flood maps and risk models, according to Swiss Re Senior Treaty Underwriter Matt Junge. Although floods cause around $15 billion of economic damage every year in the U.S, only 15% of homeowners have a flood insurance policy, and only $5 billion of annual damages are insured. 2017’s hurricane season highlighted the difficulties that U.S catastrophe re/insurers still face, as more than two thirds of flood damages went uninsured last year, while 80% of residents in Houston, which was hit with severe flooding following Hurricane Harvey, did not possess adequate flood coverage. He pointed out that the U.S National Flood Insurance Program (NFIP) estimates that 1 in every 5 flood insurance claims comes from a property outside a high hazard flood zone, and that urban flooding during intense rainfall events regularly occurs outside of flood zones. However, Junge also suggested that the re/insurance industry needs to better leverage recent developments in high resolution flood maps, probabilistic models, and understanding of flooding dynamics. “Flood is a high resolution peril,” said Junge. “If you compare it to other perils, such as hurricane or earthquake, flooding requires much more detailed maps because one meter of elevation difference can mean the difference between a home being dry or wet. 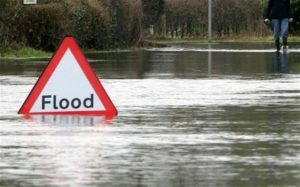 Swiss Re currently partners with personal and commercial lines insurers to help them develop private flood products, utilising its reinsurance capacity, global flood model, and dedicated flood peril team. “Our team spends a significant amount of time educating primary insurers about why flood insurance can be underwritten profitably and what technological changes have occurred over the last decade to make this possible,” said Junge. He also noted that capital markets can potentially help inform re/insurers by providing a benchmark against which companies can set their own prices for the risk of flood. Additionally, parametric triggers are proving to be a valuable solution for municipalities or other government organisations that incur significant expenses in flood protection or recovery.